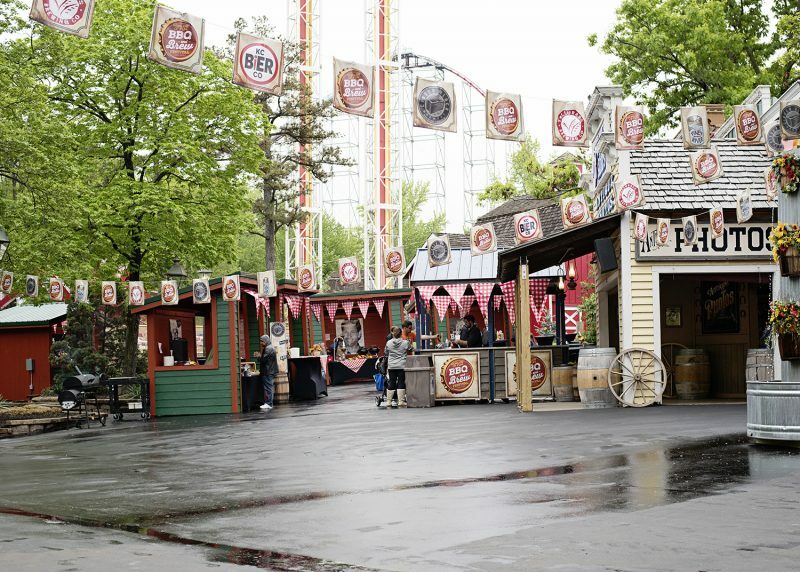 Are you looking for a fun time with roller coasters, BBQ and craft brews from all over the Kansas City region? 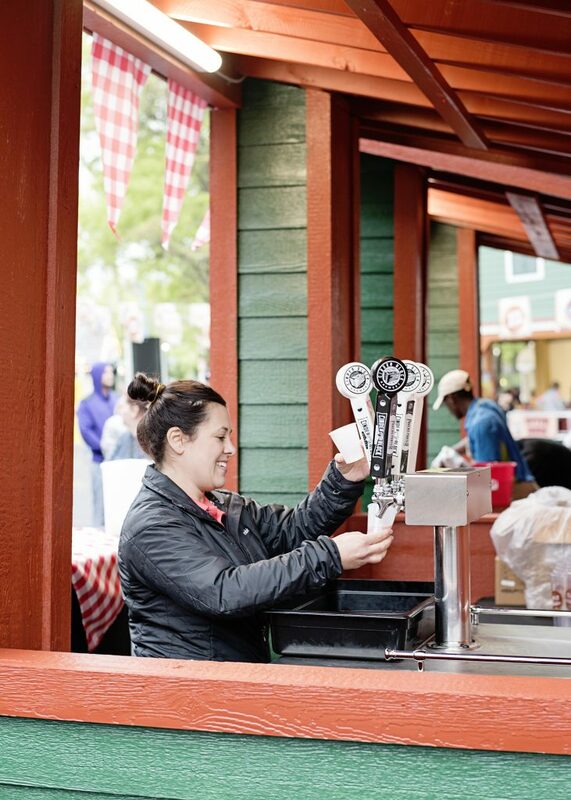 Head out to Worlds of Fun during the BBQ and Brew Festival running from April 28th – May 14th. 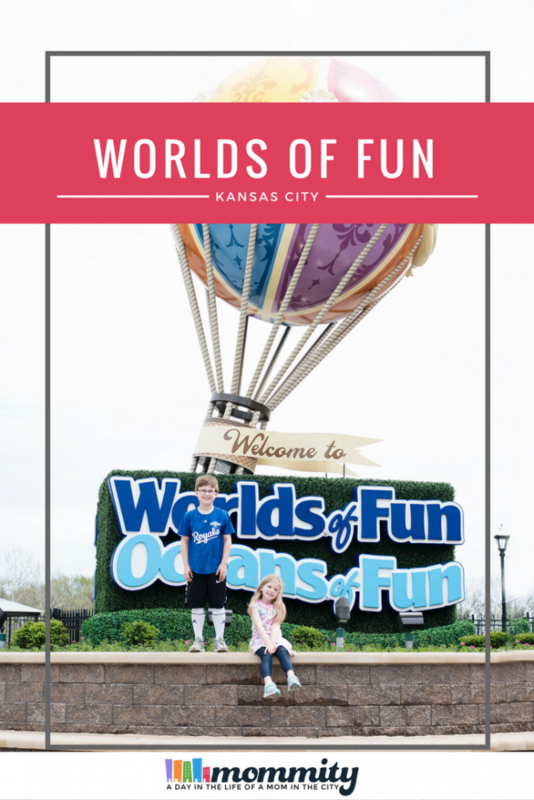 I have lived in Kansas City my entire life and have been going to Worlds of Fun since the 80’s. Last weekend, was my husband’s and my first time out to Worlds of Fun for the BBQ and Brew Festival. This was an event that didn’t disappoint! We came hungry and left satisfied. 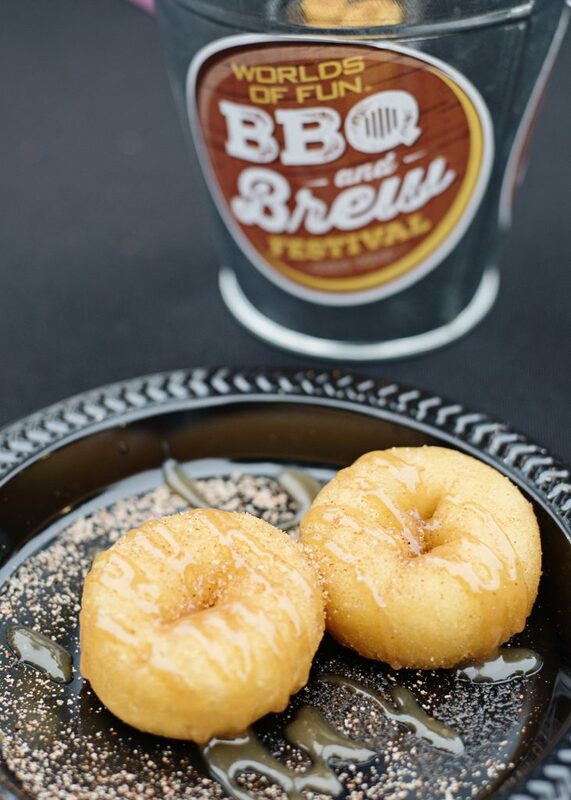 The BBQ and Brew festival at Worlds of Fun features six delicious tasting stations that feature both a small BBQ dish and two beer pairings. 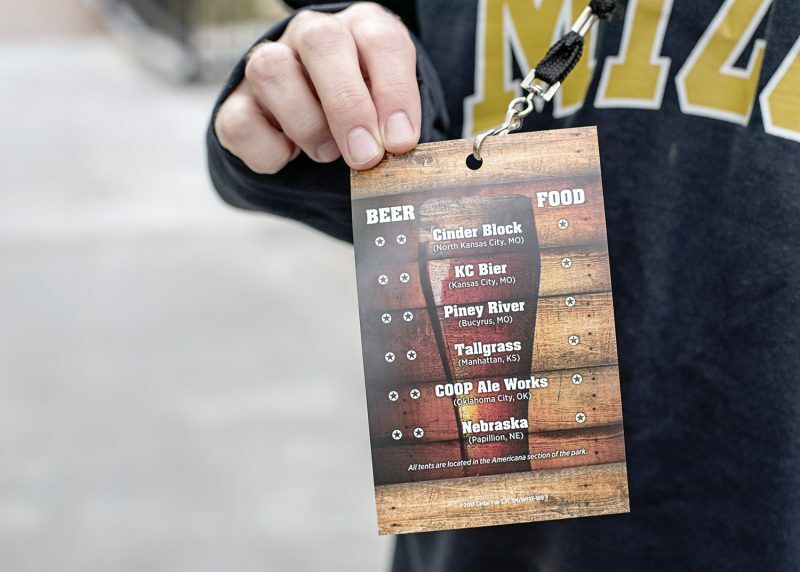 All of the craft beers come from regional brewers, such as Cinder Block, COOP Ale Works, KC Bier, Piney River and Nebraska Brewing Company. 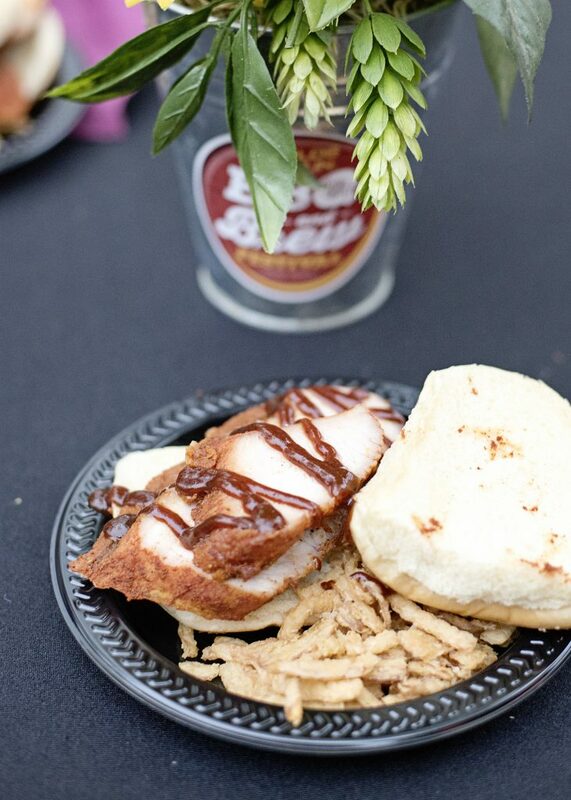 The most amazing BBQ dish and craft beers came from Cinder Block Brewery. 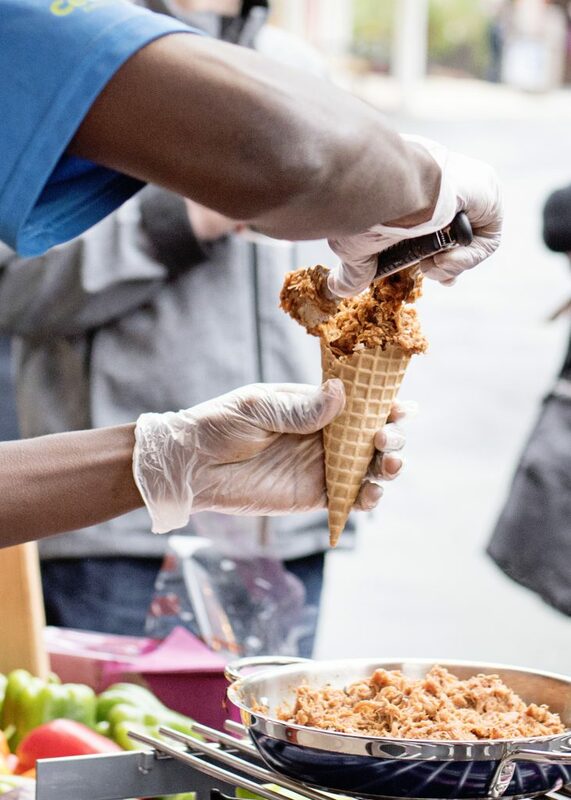 We watched him put together a savory waffle cone, featuring baked beans scooped into the bottom, cole slaw in the middle and then topped with smoked BBQ chicken. I seriously left thinking about all of the things that now needed to go into a waffle cone. It was quite a rainy weekend, but it didn’t keep the crowds from coming out to enjoy all of this delicious food and beer. Everyone in Kansas City has a different taste for BBQ, from sweet, spicy, charred, or low and slow. At the BBQ and Brew festival at Worlds of Fun, there was something for everyone. I tried things that never would have been appealing in my mind, and left me completely surprised and wanting more. Also, while we were there, my husband I had a chance to check out the new ride Mustang Runner! Both of the new rides were down during opening weekend and Falcon’s Flight is still waiting to open. So we were surprised to get a peek of Mustang Runner in all it’s glory. With three arms and 7 gondolas on each arm, all spinning in different directions, this ride was great! 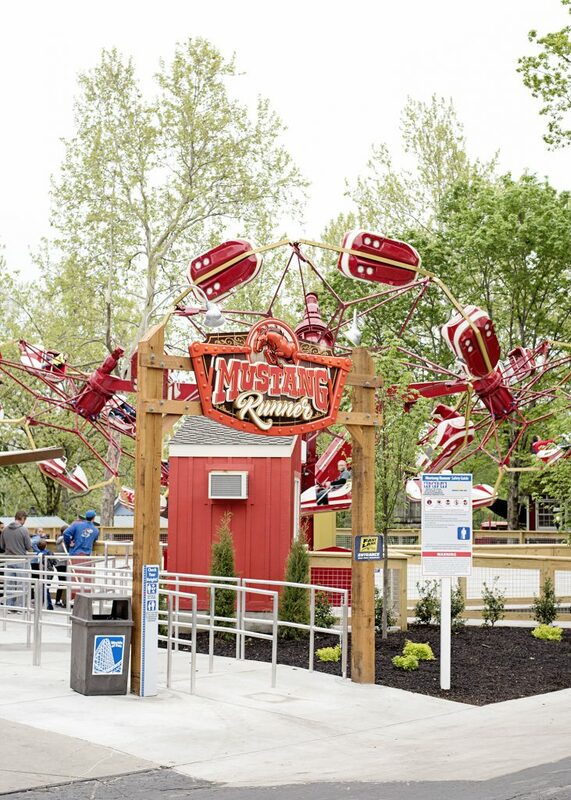 As it was nestled back by the BBQ and Brew Festival in the Americana location, we had several runs on Mustang Runner and can’t wait to bring the kids back to try it. And if you can get out to the BBQ and Brew Festival, be sure to do that! I put together a short video of all the stations that you can see while there, be sure to check that out. Disclosure : This post was sponsored by Worlds of Fun. All thoughts are my own.